We are delighted to announce the launch of our new SearchHigher website! The website has been refreshed to showcase our new design, and our brochure has been added, detailing the latest information about the services that we offer. We have also changed the layout for our News and Events section, which will be frequently updated with the latest news from the Higher Education Professional Sector. Additionally, the website now has an improved navigation structure in order to enhance user experience and ensure our audience can find all the information they need quickly and easily. 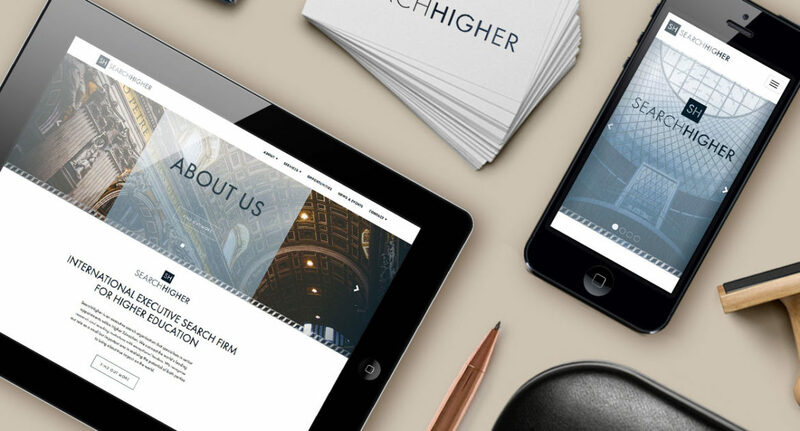 We invite you to discover our new website www.searchhigher.com, and hope that you find that this portal serves as a useful resource for you to find out more about what SearchHigher can offer your institution, and the opportunities available in this sector. If you would like more information about the services SearchHigher has to offer, please contact us to speak to one of our consultants.